I feel like I am always talking about the Shamrock Dog Park. It is seriously Jayda and Malakai’s most favorite place to go. We try to go at least once a week when school is in session. They really enjoy getting to play with the other dogs, and I really enjoy it because it’s like a giant family. Check out my soundslide presentation for a one of a kind chance to see what’s behind the park gate. Ending the semester is ruff. So, the end of the semester is quickly approaching. I may not be posting as frequently so I wanted to be sure I gave you all a list of a few events and things that you can do with your dogs in the Lafayette area. 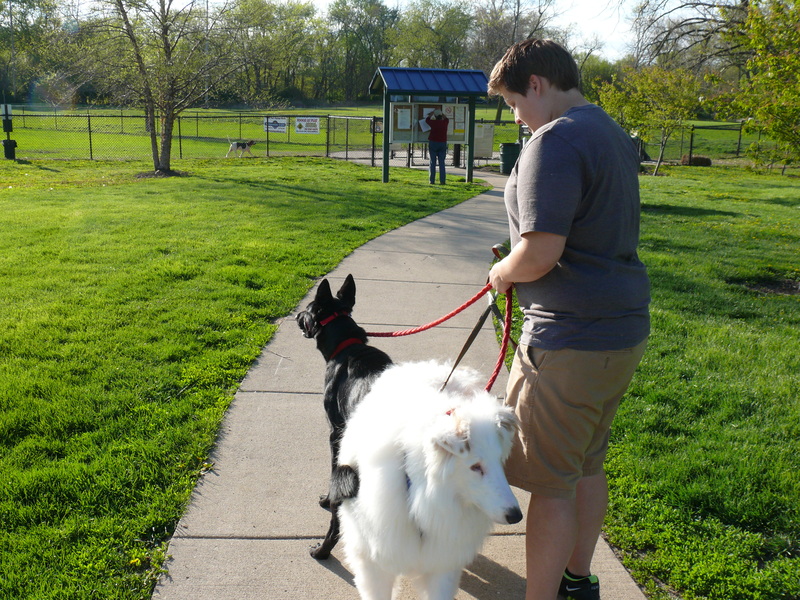 There are several parks that are pet friendly not far from Lafayette and campus. I love Turkey Run State Park, but Happy Hollow, Shades and Raccoon Lake are also fun places to take your dogs for a scenic walk. Unfortunately the Shamrock Dog Park had to reschedule their free dog park day because of the dog flu scouring the mid-west. The park plans to reschedule the event for later this summer. Keep an eye on their Facebook page for a new date and more events. 3. Watch Natalie’s Second Chance‘s Facebook for pop-up events. Natalie’s is always pairing with local businesses and organizations for fundraisers and outreach events. They aren’t always the best about advertising for these events, but check their Facebook page for possible events this summer. 4. Start a new dog training class. Malakai really did great at the Greater Lafayette Kennel Club as a pup and they run agility trials all summer. Even if your dog doesn’t know agility, it is fun to watch on Monday’s at 7 p.m. PetSmart is another local dog training facility that has many puppy classes all season. 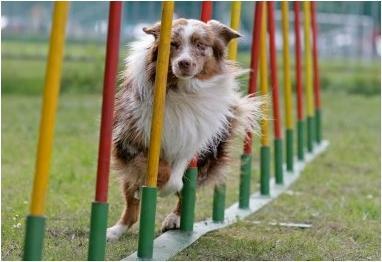 your dog may not be this good at first, but imagine the cool things he could do at the end of the summer. Finally, Almost Home Humane Society, Natalie’s Second Chance and Loving Heart Animals Shelter are always trying to find their fur-babies home. Almost Home hosts a lot of adoption events that offer discounted adoption rates and the other shelters are always staked out around town at places like Pet Supplies Plus and PetSmart trying to help their dogs find homes. There are so many great places you can take your dogs this summer. Puccini’s will even allow your dog to dine on their patio! 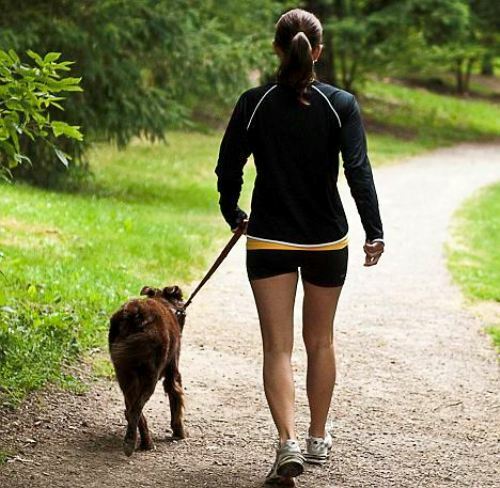 Don’t leave your furkid at home this summer, especially when there are so many great things you can do together. I’m sure most all of us dog-child owners consider our dogs, just that, children. 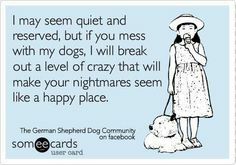 So, I can’t be the only one that gets totally offended when a guest comes to my house or approaches one of my furkids and says something a little crazy. I’ve compiled a list of my favorite crazy things people like to say. 1. He’s just a dog. NO! He is not. He is my furry adopted child. Don’t ever say that again. 2. OMG! There is dog hair all over your house. Do you ever clean this place?! Yes. Yes, I do. I’ve actually been through three vacuum cleaners this year. I’m currently trying out the $400 Dyson Animal… You can see how well it’s working. 3. You told me that there may be a LITTLE dog hair in the backseat of your car. This is not a little. Hey? Why make mountains out of mole hills? I say toe- MAY-toe you say toe-MAH-toe. 4. Why don’t you just get rid of one. They have to cost you a fortune. Why don’t you just get rid of one of your children? Perhaps the one with freckles? I hear he still isn’t potty trained. NO! I’m not getting rid of my children. 5. Can’t you just leave your dog at home for the night? It’s not like he’ll know the difference. Yes. He will. He knows EXACTLY what time it is, and he will know if I am more than 5 minutes late. I need to get home NOW. 6. I can’t believe you let your dogs on your furniture. Where?! I don’t see a dog. I see a furry child with a long nose. 7. Did you really just buy your dog his own ice cream? Yes I did. The people at Dairy Queen loved him and gave him a cheeseburger to go with it. You’re just jealous your children aren’t as cute as he is. 8. You really need to get rid of your pets so that way you can take college more seriously. If I got rid of my dogs I would have so much money and time on my hands I’m not sure what I’d do… I’d probably go buy another dog. 9. Please don’t tell me you let your dog in bed with you. 10. 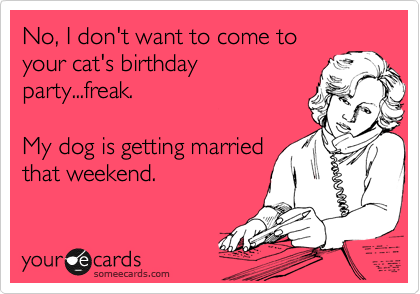 Did you really just invite me to your dogs birthday party? I can’t be the only crazy dog lady that thinks these things when people bring them up. What’s your favorite anti-dog child saying you hear all too often? Malakai and Jayda got to spend some time helping their grandma move to her new house this weekend. Malakai had to help so that he could be sure she didn’t forget “his” giant sectional. While at Grandma’s new house Jayda and Mickey got to spend a lot of time in Grandma’s new fenced in back yard. Unfortunately it rained almost all weekend and the barren flower beds were filled with mud. The events that followed led me to my post idea for the day. 5 things dogs love but humans hate. 1. Play in the mud. Despite me and Rae’s best efforts we could not keep any of the three dogs out of the muddy, empty garden. We went through a half a dozen towels and 2 baths each in ONE day this weekend. Every time we brought the dogs in, they smiled at us like they had just won the lottery. 2. Roll in stinky things. Not only did they all get to play in the mud, but they also found something gloriously disgusting to roll in. I’m not quite sure what it was, but all three dogs loved it. The smell was the reason for the bath, not the mud. 3. Dig in the yard. With rain comes soft ground. What is the best thing you can do with soft earth you may ask? Well according to Jayda and Rajah, the answer is dig. They dug two giant holes roughly the size of Texas in Grandma’s brand new yard space. Jayda had finally had enough of her playful puppy shenanigans and decided that she wanted to help move boxes and furniture. She ever so gracefully jumped the four foot wooden fence like a gazelle. What dog doesn’t like to test their boundaries? I left the most important doggie favorite for last. How can any dog resist the urge to bark at anyone they may think is an intruder. According to Jayda and Malakai, if a human/dog/bird/moving object is closer than three backyards away it is an intruder and must be warned to stay away. We couldn’t convince them otherwise. I love my dogs, but man are they work. Unfortunately I didn’t get any photos of my dog’s antics. I was busy moving. What are some things your dogs do that make you want to go crazy? I had the opportunity to attend the Cookie Crumbler 5k last Saturday and was able to meet a few adoptable dogs and speak with a few regular volunteers at Natalie’s Second Chance. The 5k, hosted by Purdue University as a fundraiser for Natalie’s Second Chance No-Kill Dog Shelter, took runners all the way around campus. Half way through the race the runners were offered a half dozen Insomnia cookies to help fuel them up for the rest of their run. There were so many people there, some running their first ever race, everyone seemed to be having a good time. I was able to catch a few video clips of people interacting with each other and adoptable dogs. I also had the opportunity to speak with several runners and even a regular volunteer with Natalie’s Second Chance. Natalie’s is a huge part of the Greater Lafayette Community. Most everyone in the area has done something to try to help Natalie and her dogs. 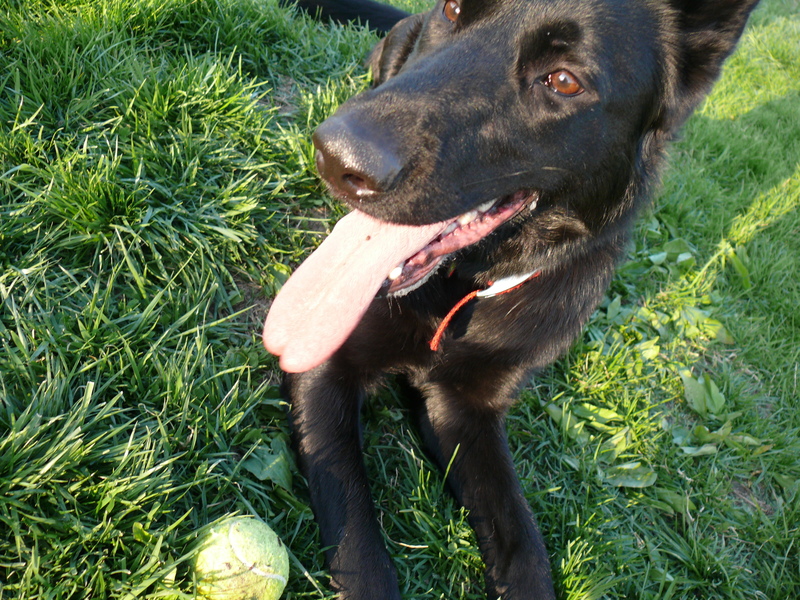 Many organizations on campus volunteer and donate to the dogs regularly. If you would like to donate to Natalie’s veterinary bill fund or just donate to the shelter in general you can find their PayPal information on their website. 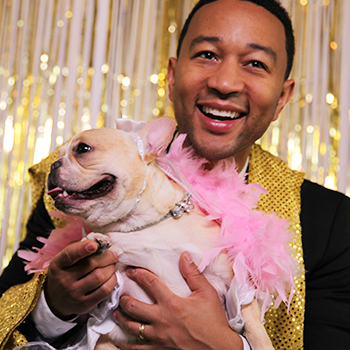 John Legend and his dog, Pippa. I’ve loved John Legend since his hit, All of Me. I’m not going to lie, it’s definitely one of the shower jams my pups really love to listen to me sing in the morning. However, Legend’s campaign to raise money for his nonprofit organization really has me loving him more. Legend created The Show Me Campaign to help all children have access to quality education. To raise funds for his nonprofit, Legend is is giving away the chance to win a private concert for donations of just ten dollars. The best part of his whole campaign is the music video he released of the wedding Legend staged for his two beautiful bulldogs, Pudy and Pippa. In the video Legend serenades the lucky pup couple with is hit song, All of Me, while the pair enjoy cake and toss the bouquet. Seriously though, there is nothing cuter on the internet. This week has been really crazy and I haven’t been able to spend as much time with my dogs as I would have liked to. 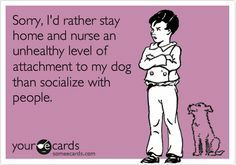 When I’m missing my fur-kids I turn to Pinterest for some doggy entertainment, and my most favorite source for a good laugh is dog meme’s. Hopefully this compilation helps you get through your Friday so that all you have to worry about is keeping Fido away from the Easter Dinner on Sunday…and maybe passing him a piece of chicken under the table. Dogs will do almost anything for a treat, and lucky for Rachel Berger and her dog Alli, Alli will have a new bag of treats to work for. She was the winner of our cutest puppy contest last week. Spring break is finally upon us and I will be on a cruise for the next week so I won’t be able to post. I will be back to posting next Monday. I didn’t want to leave you all hanging, so I compiled a list of 5 fun things you can do with your dog this spring break. He isn’t our school mascot, but I’m thinking he should be. 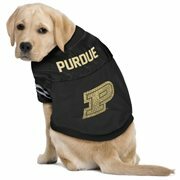 Spring break is coming and many students here at Purdue are gearing up to head to their vacation destinations. But what if you aren’t going anywhere and you are still looking for something to do? I thought it was Woodstock? This is not a goodbye, but a see you soon. #costumepalooza @barkbox Malakai dressed in his silky cheetah print boxers. The lady dogs love it . @taterbanks89 you should enter tucker!